By studying the right Trade/Vocational Course it could greatly increase your prospects of obtaining Work Visas to Australia. After graduation you may be eligible to apply for the 485 Graduate Visa. This is a temporary work visa. On the graduate visa, you must undertake the Job Ready Program through TRA . This requires 12 months of paid work experience and can approve a positive skills assessment for migration purposes. The Job Ready Program (JRP) is a four-step employment-based skills assessment program for international student graduates seeking a skills assessment for migration purposes. 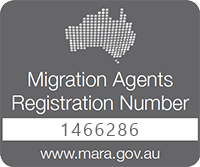 It is commonly used for those who cannot pass their skills assessment for general skilled migration purposes for those wanting to apply in Australia permanently. JRP gives applicants the opportunity to demonstrate their skills and job readiness in an Australian workplace, before they apply for migration to Australia. Ensure that TRA is the skills assessor for that profession. Many students graduate and don’t know what options they have to remain in Australia. this info graph covers some of the most common work visa options that may be available to different students. It covers 482 visas, ENS, General Skilled Migration, Graduate visas, partner visas. The Graduate Visa (Subclass 485) allows recent university or certain vocational graduates to remain in Australia and work after their studies have finished. Anytime throughout the duration of the temporary graduate visa, visa holders can lodge an application for another permanent visa. At his initial consultation, Pathway to Aus went through some study options that may be suitable for him. He had always been interested in boat building and we managed to enroll him in the Cert III of Marine Craft Construction. This is a 2 year package offered at Tafe QLD on The Gold Coast. Boat Building is on the Immigration Medium and Long-Term Strategic Skills List. Ian then spent 2 years undertaking this course. The course combines in class study with vocational placement at a boat builder. Throughout his studies Ian was fortunate enough to find paid work experience at the boat builder where he did his vocational placement. On the student visa Ian could work 40 hours per fortnight and unlimited hours during school holidays. This allowed Ian to earn money to partially support himself during his stay. Because boat building is on the Medium and Long-Term Strategic Skills List, upon graduating, we were able to apply for an 18 month temporary graduate visa for Ian. We then passed a provisional skills assessment and entered into the Job Ready Program run by Trades Recognition Australia. As part of the Job Ready Program Ian undertook a minimum of 1725 hours of full time work as a boat builder. Ian will then be able to obtain a full skills assessment in only 12 months, as apposed the usual 3 years. We have now used the full skills assessment to apply for general skilled migration under the skilled independent stream (subclass 189). After we lodged Ian’s EOI, we received an nomination to apply for the visa in only 2 days!